Maintaining a healthy diet can be tricky, even more so when surrounded by heaps of snacks. Good news: you don’t have to munch on celery sticks throughout the new year season, watching in envy as others enjoy sweets and cookies. The idea is to swap, not eliminate the foods this new year. Let’s have a look at the alternative foods to reach for. These are high in added sugars, especially since it is almost impossible to stop at one (unless you have a will of steel). With their characteristic white coating, salted nuts are easy to spot from afar. These provide healthy fats and protein without the added salt. You’ll get maximum nutritional benefits from unprocessed nuts in its most natural form. However, nuts are calorie-dense, so it is still important to watch your intake! These seem healthy on the surface: they’re fruits, right? Wong. 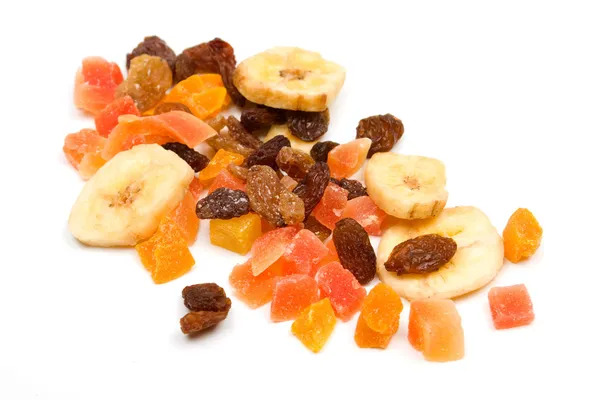 Most of the dried fruits in the market contain added sugar and preservatives, so you may be getting more that what you asked for. You’ve been warned! As nutritious as they can get, eating fresh fruit gives your body a well-needed bread from the rich, indulgent foods that are in abundance. Take this chance to fill up on your 5-a-day with nature’s sweets. Mandarin oranges are perfect for this purpose. As an added bonus, having fruits will target those sugar cravings of yours! Other than controlling the amount of sugar and butter that goes into these goodies, you can also choose to use whole wheat flour in place of white. Experiment with using chia seeds instead of eggs for extra fiber as well. If you’re too busy to DIY everything, another option is to purchase from home bakeries. More often than not, they provide customization options to cater to low sugar, dairy-free requests. Ask and ye shall receive! 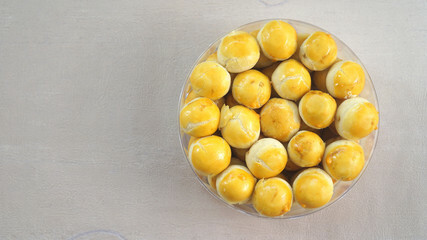 The buttery, flaky skin of these pineapple tarts are delicious, but are also the culprit of fat and cholesterol. Encasing the whole tart in the artery-clogging pastry isn’t the best idea for those looking to stay slim and trim. Enjoy these in their open-faced form will not compromise on the satisfaction level, while minimizing the negative impacts on the health. Moderation is key this festive season. Allow yourself a well-deserved break, but do be sure to watch what you eat as well. Happy eating!